Like most Americans, I’m proud of our commitment to return every American service member home from wars overseas. 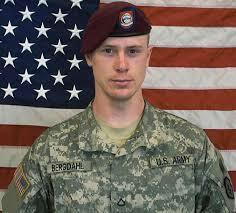 However, I do have serious concerns about how we negotiated the release of Sgt Bowe Bergdahl. The Obama Administration struck a deal with the Taliban – we freed five high-level Taliban leaders from Guantanamo in exchange for his release. America has not negotiated with terrorists in the past, and we should not start now. Making these kinds of deals on terrorists’ terms empowers extremist groups, and it puts our men and women at greater risk while serving overseas. Like many of the constituents who have reached out to my office on this issue, I’m concerned that this sets a precedent that we’ll negotiate with terrorists in the future. And I’m deeply concerned that this Administration has endangered our troops on the battlefield and Americans at home, for now and for the future. House Armed Services Committee Chairman Buck McKeon has asked Defense Secretary Chuck Hagel to appear before his Committee later this week to answer questions about this issue, I look forward to learning more as Congress investigates the details of this release.